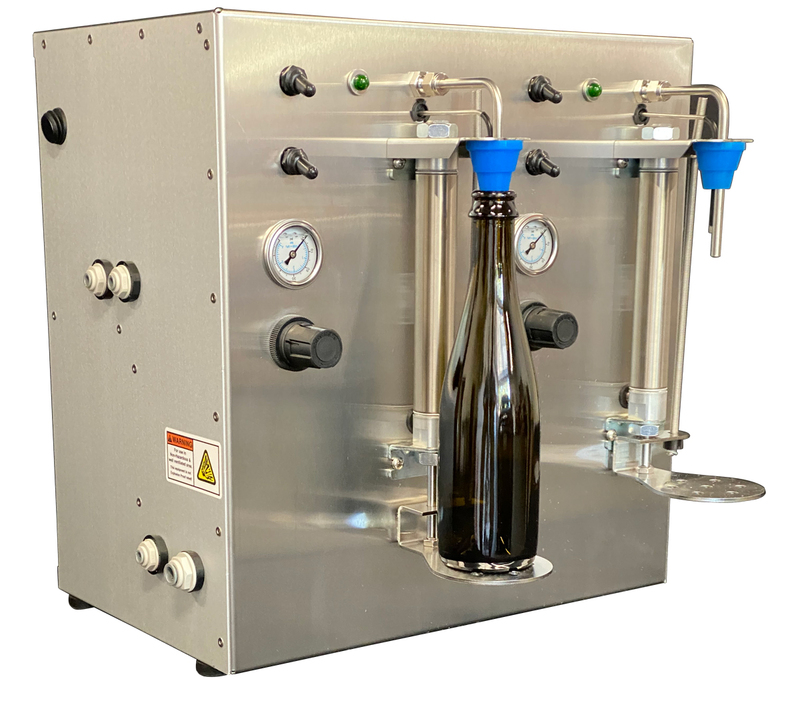 The carbonated beverage filler is a counter pressure bottle filler that fills bottles from a pressurized source, such as a keg, without losing carbonation; using a sensor probe that shuts off the fill at the desired height. The fill cycle includes a pre-fill purge with CO2 in reduce the oxygen intake. To minimize excessive foaming during the fill, lengths of tubing can be installed to fill from the bottom. This filler was designed to be technically sophisticated, while operationally, extremely simple. This filler can be used with bottle sizes that range from 8 ounces to 22 ounces and 250 to 800 ml, with a maximum height of 12 inches. Each bottle filler is built to order in our factory. Lead times vary, ranging from four to six weeks. Please plan accordingly. Able to accommodate bottle sizes ranging from 8 oz. to bombers.